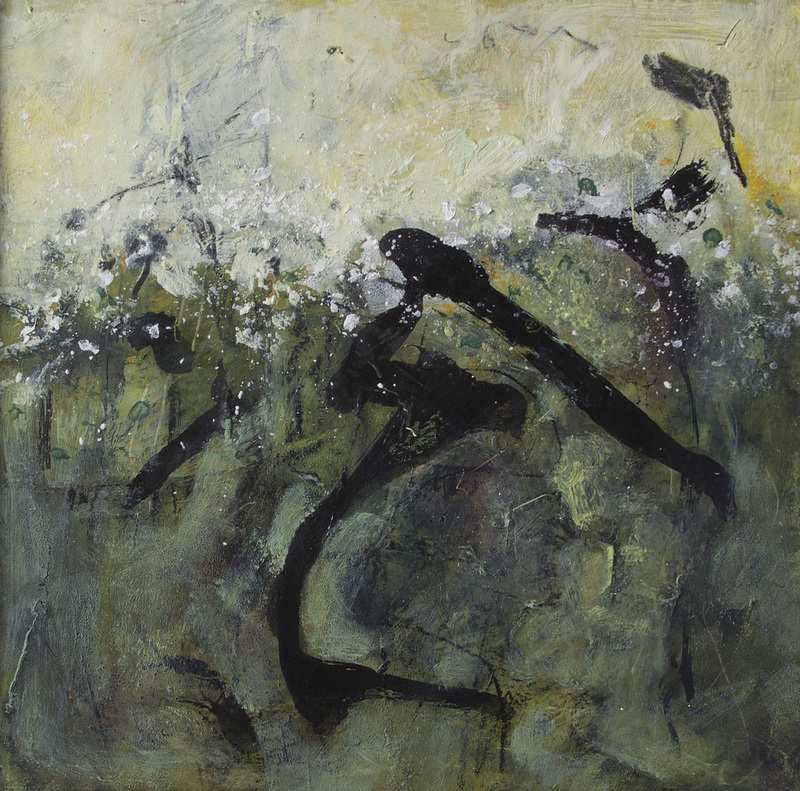 Black, Gray, and Yellow-green, combine in this original abstract oil painting. Paired with "It's Deep and Dark" they make a great horizontal or vertical unit. The mystery of water and how it moves below the surface provided my inspiration. 14x14 framed in black.